Global crowdfunding platform GoFundMe has appointed international communications agency 89up as its retained UK PR agency. The agency has handled GoFundMe’s corporate comms since 2018 and the expanded brief includes wider media relations, including consumer comms and social media. As part of its corporate role, 89up used social media listening and data analysis to develop GoFundMe’s positioning within the fundraising sector within the UK. It also led a campaign to hero GoFundMe’s promise not to charge fees on Gift Aid donations in comparison to their major competitors. 89up helped secure profiling opportunities for CEO Rob Solomon with the likes of Sky News and The Daily Telegraph. The expanded brief for 89up follows the GoFundMe’s recent appointment of Helen Dagley as head of PR and partnerships. 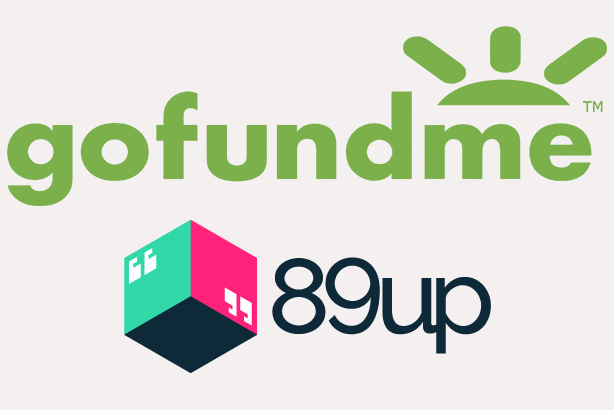 "89up is an exceptionally exciting agency and they were central to GoFundMe’s explosive UK growth in 2018," GoFundMe head of UK communications John Coventry said. "They have a deep understanding of our brand and have developed strong strategies across a range of audiences and channels. 2019 will be a defining year for GoFundMe in the UK as our brand becomes synonymous with people helping others online, and we’re hugely looking forward to partnering with 89up as we become category leader." 89up is a fully integrated agency, with PR, social, digital and developers under one roof. It has worked on campaigns for organisations including Toyota Mobility Foundation, 38 Degrees, Reporters Without Borders, Best for Britain, Body Shop and Nesta. The team working on the GoFundMe account is led by PR director Sarah-Jane Rumford, who has more than 20 years of experience delivering campaigns for leading brands, Government, charities and NGOs, and previously worked for Burson Cohn & Wolfe and Blue Rubicon. 89up CEO Mike Harris said: "This expanded brief - covering both corporate and consumer communications - allows 89up to build on our work with GoFundMe over the last year and create a series of really exciting integrated campaigns throughout 2019. Using our bespoke social media mapping and listening tools, we have already developed a range of creative concepts which will help GoFundMe as the platform grows its presence in the UK."